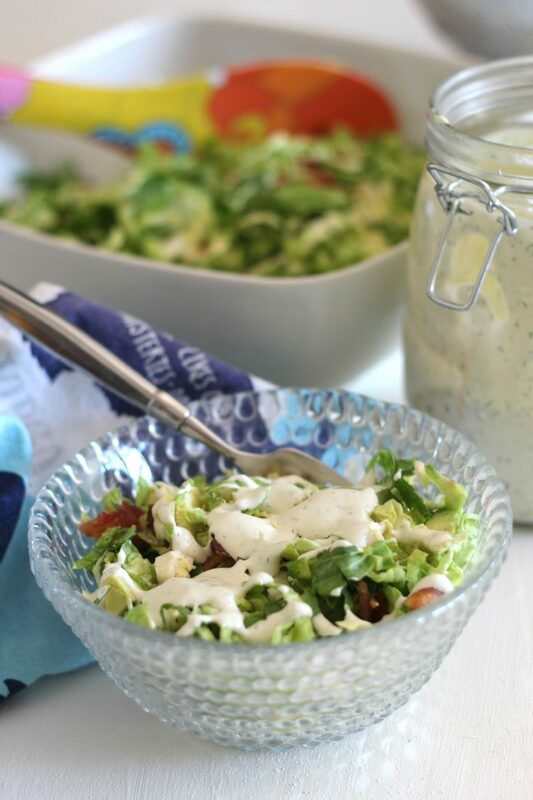 Brussels sprouts, avocado and bacon salad with a creamy dill dressing is absolutely delicious and a filling, low carb salad. It’s perfect for a refreshing lunch! I want to start off with a ginormous thanks to Melissa’s Produce for sending me these Brussels sprouts. They are gorgeous! I forgot just how much I love these little itsy bitsy cabbages. Oh and I need to get my grammar annoyances out of the way. 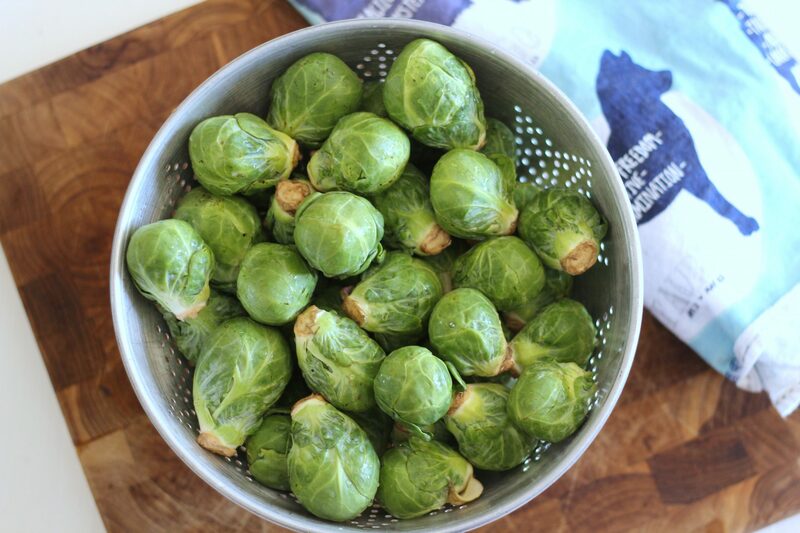 It’s Brussels sprouts, not brussel sprouts. The ‘B’ has to be capitalized because it’s named after the beautiful city in Europe and because, you know, because it’s a proper noun. And the ‘s’ has to be at the end of Brussels, I know that throws people off. Now I’m not one to correct anyone’s grammar, that’s just rude. So consider this a public service announcement. Or maybe I’m just showing my respect to the Brussels sprout. ‘Cause, come on, it’s delicious! Now, I feel like Brussels sprouts and crispy bacon are made for each other. Am I right? Just like broccoli and cheddar. Or like coffee and myself. Or like cheese and myself. Okay, what else goes together that is low carb? I mean I could say mac and cheese, but macaroni isn’t low carb. Blah. A couple of years ago I started making the bacon in the oven, and hello lifesaver! The clean up is so much easier and the bacon doesn’t get all curled up. 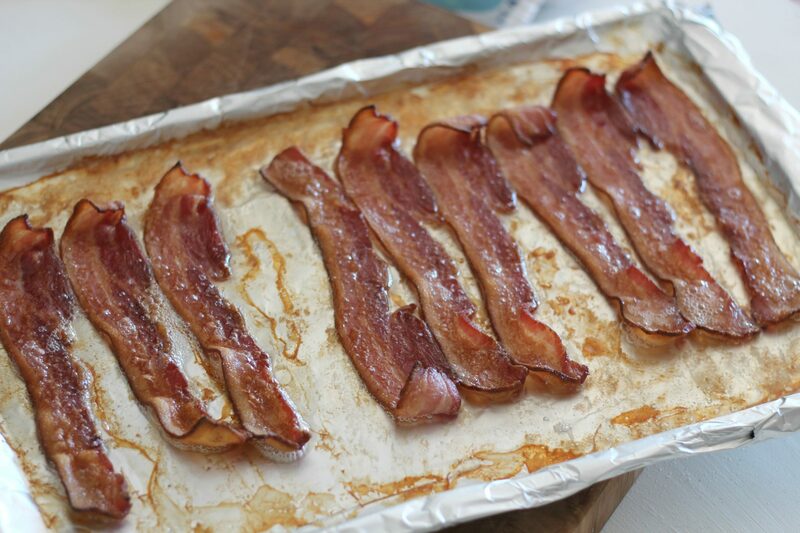 Here’s the quick and dirty of how to cook bacon in the oven. Check bacon to see if crispy. Cook a few more minutes if necessary. Set on paper towel or whatever to drain grease. Fold aluminum foil with bacon grease inside, and throw it in the garbage. So now your bacon is ready. Time to make a salad! I’m getting hangry! 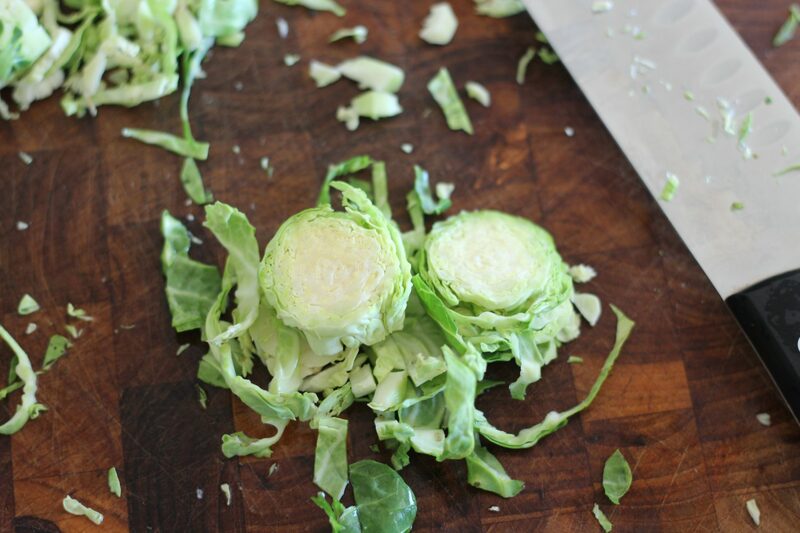 Slice up Brussels sprouts. Toss with bacon grease. Chop up avocado and bacon. Toss all together. 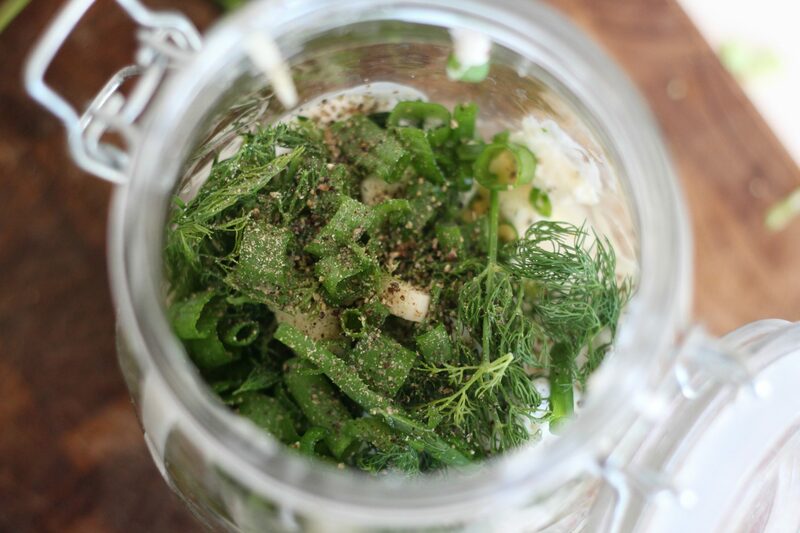 Put all ingredients in mason jar. Blend together with immersion blender. Thank you again to Melissa’s Produce for the gorgeous Brussels sprouts! 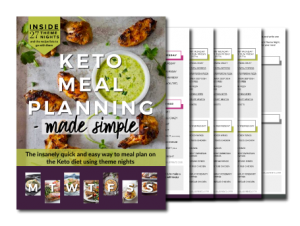 Hungry for more low carb food? 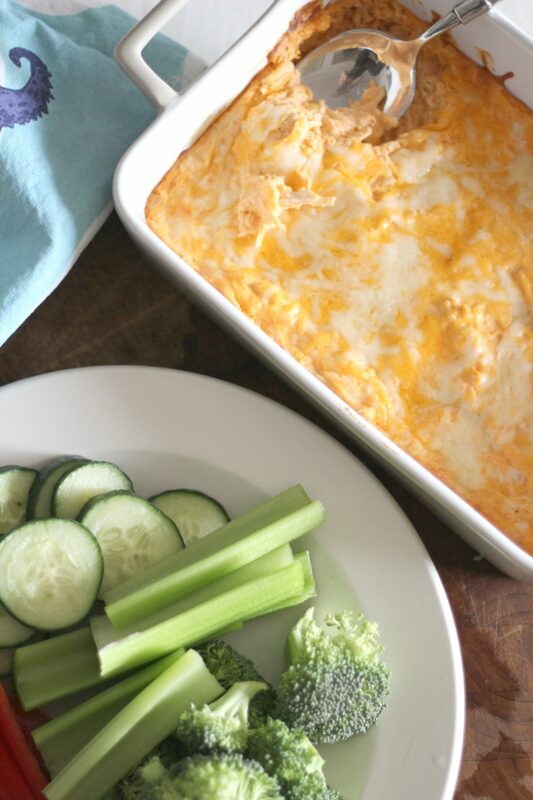 Try this Buffalo Chicken Dip! 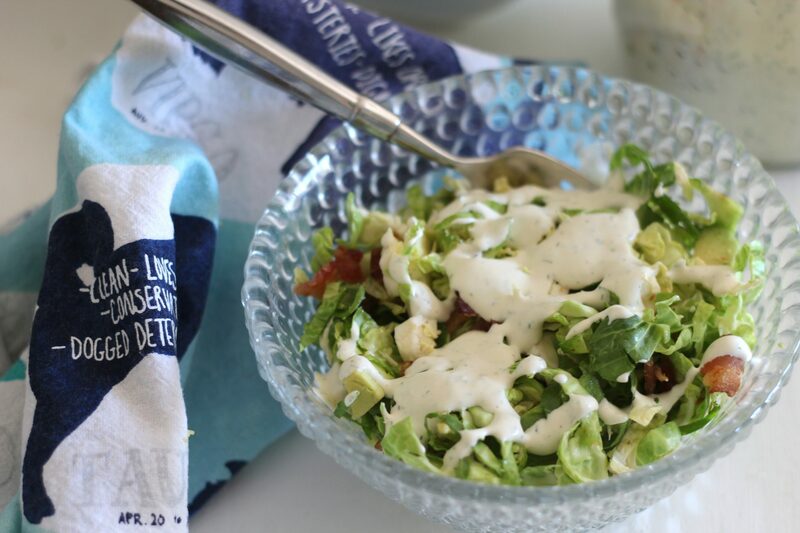 Brussels sprouts and bacon with the addition of Avocado what flavoursome combination! 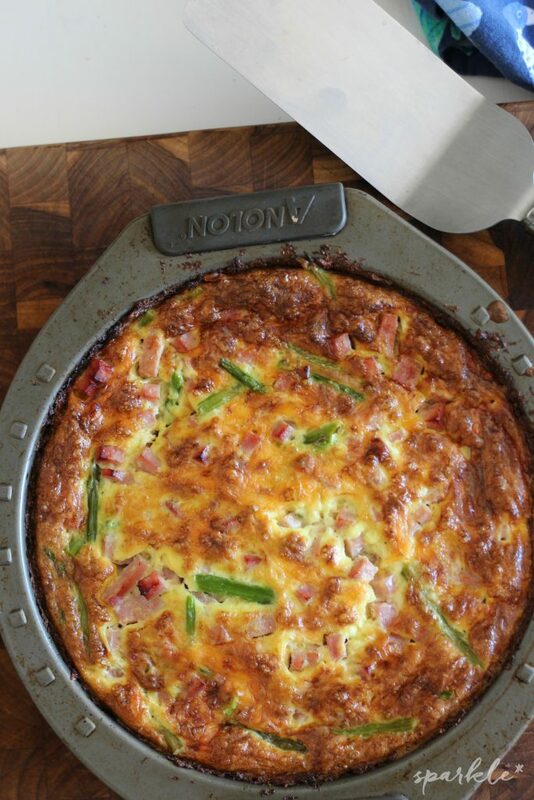 Thanks for sharing the recipe with us at #overthemoon. I’m sharing on social media. Have a lovely week and see you next week. Bacon and brussels sprouts are naturals together. I have never thought of eating Brussel sprouts raw in a salad before. I bet they go really well with the bacon and the dressing sounds really tasty. Looks yummy. Thanks for sharing at the #InspirationSpotlight party @DearCreatives Pinned & shared.